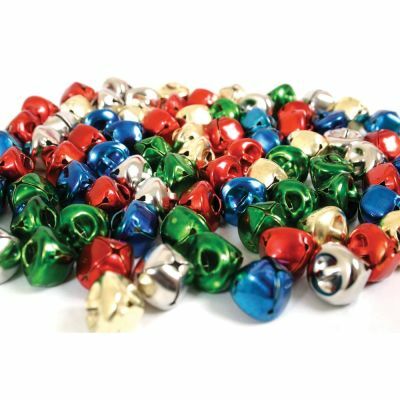 Add some colour and noise to your Christmas crafts with this pack of assorted coloured jingle bells. Available in the perfect festive colours: silver, gold, green, blue & red. Suitable for younger children who will enjoy adding them to their pictures, decorations and any other craft project. An exciting alternative to simply painting and decorating with glitter, pens, sequins and paint. Pack contains 80 jingle bells measured at 1cm diameter.